Digital Product Studio has announced newborn baby photographer Kelly Brown is joining the online education platform to teach photographers the latest techniques for posing newborn babies. Brown will use the company's live streaming and interactive technology to provide an online learning experience at her site NewbornPosing.com. "I am very excited to work with the creative minds at Digital Product Studio and join a team of very talented photographers and educators," Brown said. "The technology being used to create an interactive learning experience via the Internet is quite astounding and I am thrilled to have the opportunity to share my knowledge with photographers around the world." And there's a lot to learn. Among the poses she lists on her site are the back pose, side pose, bum up pose, chin on hands, in parents hands, potato sack, one wrap workflow, taco pose, upright in prop and pretzel wrap. When doing the Potato Sack pose it is extremely important to never leave the baby unsupported. Even if you believe the baby is nice and secure. What you have to be cautious of, is that the baby can move its head at any time causing it to unbalance and possible injury to its neck. Another thing to consider is how will leaving the baby unsupported make the parents feel? You do not want to make the parents feel uneasy because if you do they will not return in the future or recommend you to anyone. Ah, for the old days when all you had to do was watch the birdie. Not only is there a lot to learn but the online venue will save you a trip to Brown's studio in Brisbane, Australia. Craig Swanson, co-founder of DPS and co-founder of CreativeLive, added, "Our goal at Digital Product Studio is to create a single technology platform where professionals working in a variety of creative genres can have a rewarding learning experience from anywhere in the world." Without hiring a baby sitter, we hasten to add. NEW YORK -- World-renowned newborn baby photographer Kelly Brown is joining Digital Product Studio's online education platform to teach photographers the latest techniques for posing newborn babies. 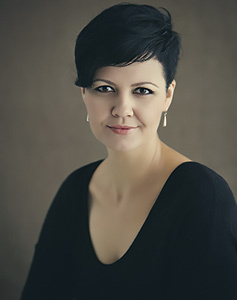 Her Web site, NewbornPosing.com, will use advanced live streaming and interactive technologies employed by Digital Product Studio to create a unique online learning experience for photographers. Kelly Brown's NewbornPosing.com is the fifth channel launched by DPS and joins an already impressive list of educational outlets including The Wedding School, Sue Bryce Education, Meg Bitton Live and Masters Academy. There is nothing more precious than capturing beautiful photos of newborn life. NewbornPosing.com is the definitive resource for learning to create beautiful, timeless images that transcend generations. On her Web site, Kelly Brown will share her secrets and behind-the-scenes techniques for creating ten of her clients' most requested poses. "I am very excited to work with the creative minds at Digital Product Studio and join a team of very talented photographers and educators," Kelly Brown said, speaking from her studio in Brisbane, Australia. "The technology being used to create an interactive learning experience via the Internet is quite astounding and I am thrilled to have the opportunity to share my knowledge with photographers around the world." Kelly Brown's Newborn Posing Web site is a fantastic addition to our growing platform of interactive online education classes for photographers," explains Craig Swanson, co-founder of DPS and co-founder of CreativeLive. "Our goal at Digital Product Studio is to create a single technology platform where professionals working in a variety of creative genres can have a rewarding learning experience from anywhere in the world."